Fretboard radius and neck width are my real sticking points. Too flat and/or too wide just don't work for me. Can't really understand why anybody would want a radius flatter than 12" on a bass. 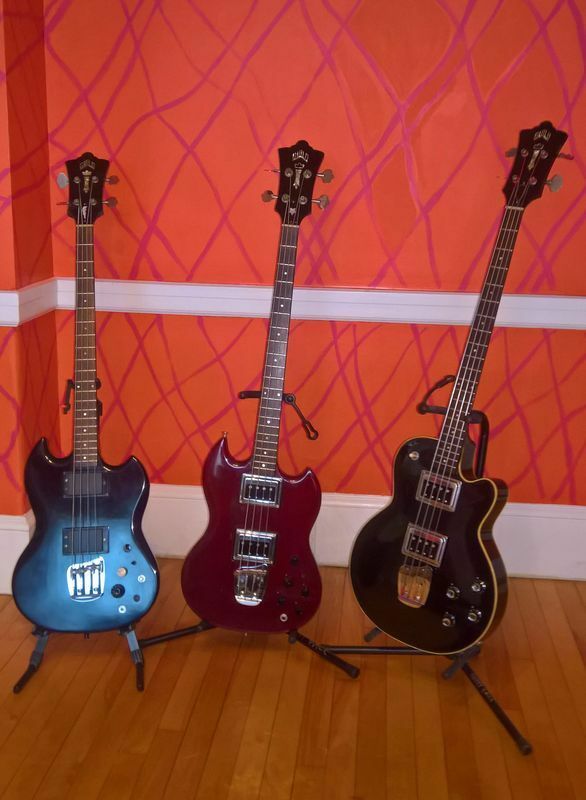 I’ve got a bunch of basses. I move between them effortlessly, but I don’t play the same on them. Instinctively, that’s part of the reason I choose what to play. My largest are a full tilt Alembic and a Taylor AB3. Pretty danged big. A couple of late 50/60 P-basses. A Rick 4000. And all these Guilds. You just play differently, which is part of what makes you you. 10 fewer Guilds than Mgod sports. But enough for me. Yeah, but they’re all the same scale. Visualize your Rick, or something.